Yesterday, I found that my friend-at-work (Mr.Danan) who confused because he couldn't move some large files (>8GB) to his new 500Gib external hard drive. He asked for my help to solve this problem. And here's the following troubleshooting steps that I did. If you face same problems, you can try from first step. Once it solved, so there's no need to continue the next step. FAT32 has a problem in dealing with file sizes > 4GB. We must use the NTFS file system to enabling store large files. Furthermore about FAT file system and it's disadvantages, you can read from this link. 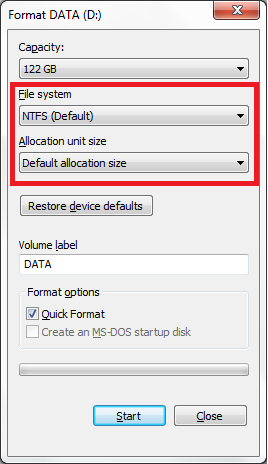 You must format the drive into NTFS file system, of course after you've done data backup processfirst . Several type of external hard drive includes a special driver to run properly (usually a driver CD was included in the package). Also, it should be ascertained whether all the existing drivers on your computer (such as the chipset drivers, BIOS controller) is already installed and up to date. Please check the manufacturer's website and enter the type of equipment you have to get their driver. Updating the BIOS is also a suggested workaround. 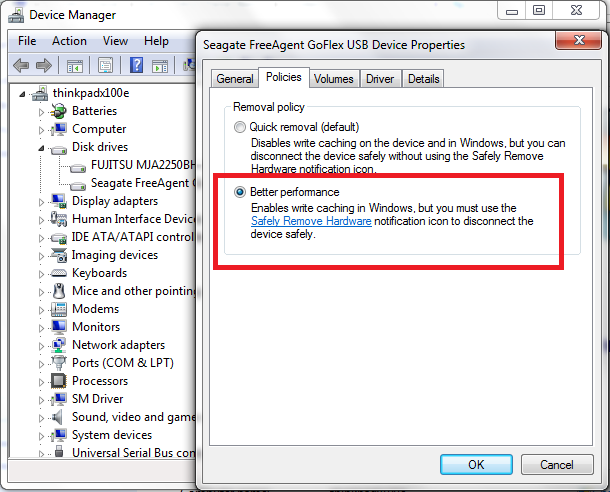 Go to the Device Manager, select the Disk Drives, right click on the external hard disk drive, select Properties. On the Policies tab, we can see if the write caching option (Better Performance) was in the can right on the drive. And that solved the problem! Now my friend can copy-paste his huge data into the portable hard-drive. So what the hell is write-caching ?